It is 11 November 2018, and I am taking a moment to reflect. Commemoration ceremony held in 2009 in Gander to remember those who perished in a crash on 14 February 1945. Second from the left is Bill Dolan, the son of the pilot on that flight. Find more information on this crash from Hillier’s thesis. Much of my work is remembrance. While not every story involves tragedy, one of my goals is to get the names of those who were involved in Newfoundland and Labrador aviation out of the archives and on the internet so they can be more easily found. I have had many family members contact me to tell me how they found their loved one and links to other documents, through this work. It may not always be war stories, but many who were involved in aviation between and after the wars were typically aviators during the war, such as many of those involved in the Great Atlantic Air Race that pioneered trans-Atlantic Aviation, making way for Ferry Command in the Second World War. While my work has kept me away from my blog posts, I have been working to continue my work. In the past few months, I have had an article come out about the American Overseas Airlines crash in Stephenville in 1946. This aircraft was looking to bring the families of those helping to rebuild Germany after the war together, but, tragically, there were no survivors. The article is online through the AP Online Journal in Public Archaeology called An Empty Graveyard: The Victims of the 1946 AOA DC-4 Crash, Their Final Resting Place, and Dark Tourism. The other articles all look at archaeology, death, ethics, and our perceptions of death in the contemporary world. I want to thank Howard Williams and Lorna-Jane Richardson for accepting my article into this journal, and for the help they and the other reviewers provided. This is my first sole author peer-reviewed article. 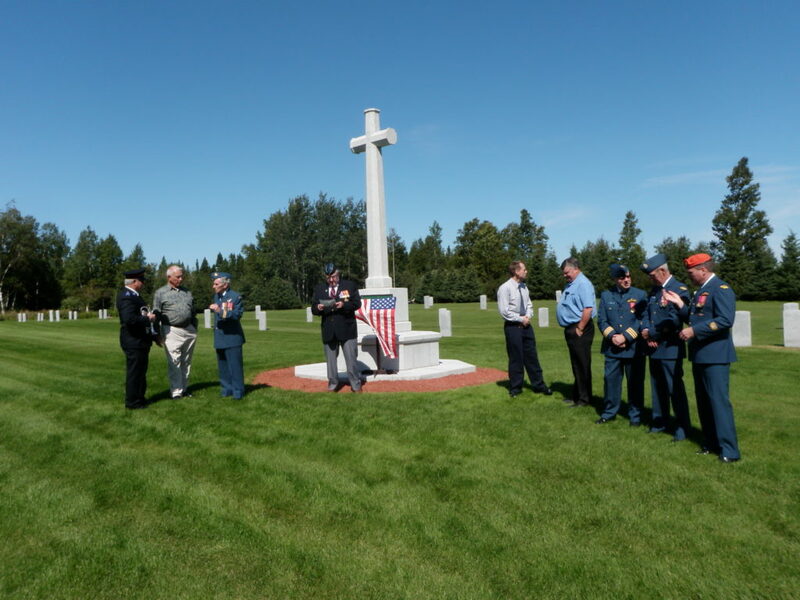 Images of the memorial cemetery from heritage.nf.ca. Note, since this image was taken, many of the wooden crosses have fallen. Last week, the chapter in a book I have been working on came out. The book is Canadians and War, Volume 3 and my essay is called Sacrifice in Second World War Gander. The essay looks at the first tragedies associated with Gander during the war. First is the events around the crash and death of Sir Frederick Banting. Those who died in that crash were sent back to the mainland for burial. 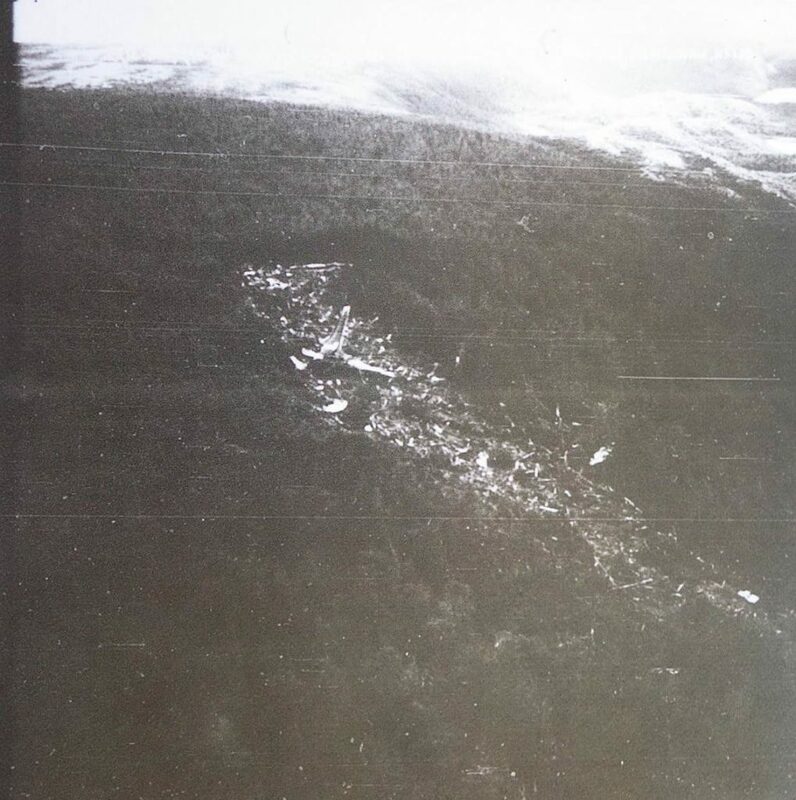 Months later, the next aviation tragedy happened in Gander with the crash of RCAF Digby 742. 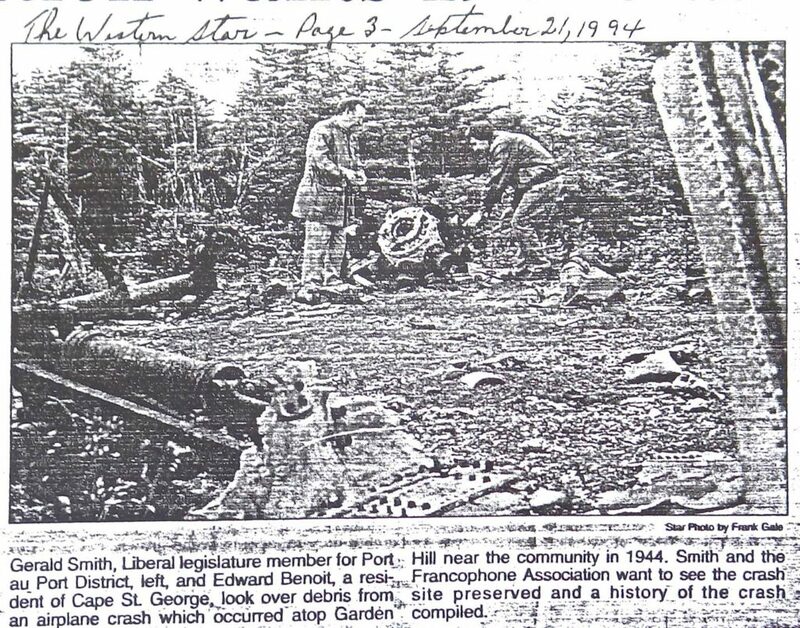 Due to these events, it was recognized that there would be more tragedies at the airbase, and this lead to the establishment of the Commonwealth War Graves at Gander. For this work, I want to thank Jeremy Lammi, his editors, and Darrell Hillier for helping me and catching some of my errors in earlier drafts. 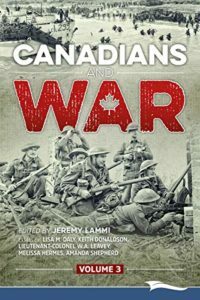 Canadians and War, Volume 3, published by Lammi Publishing, 2018. 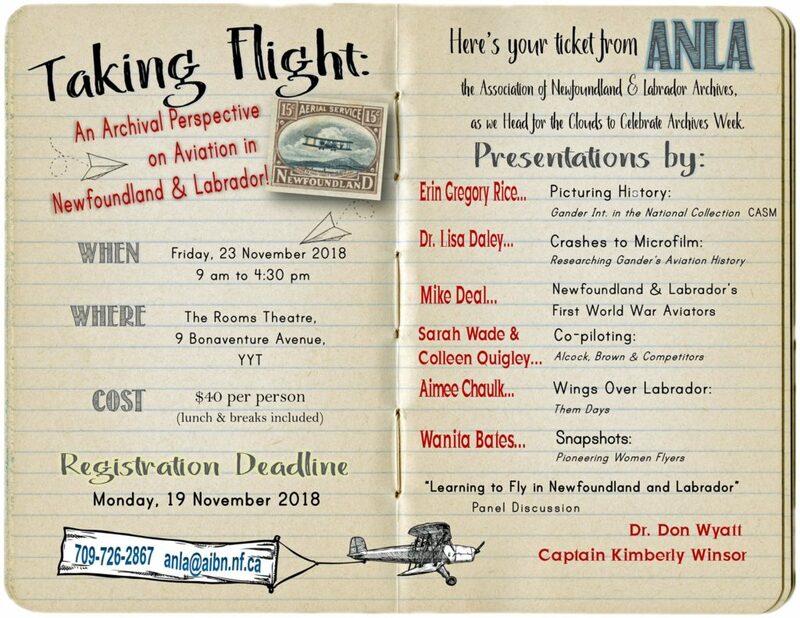 Finally, later this month, the Association of Newfoundland and Labrador Archives are having a symposium, and I was asked to be a part of the event. I will be giving a talk alongside other archaeologists, historians, and heritage professionals. I look forward to coming home for the event. It will take place at the rooms, and tickets can be purchased at anla@aibn.nf.ca. This talk looks more at the mechanics of research, the various sources and archives that I use, with a focus on Second World War Gander. Finally, I did not write in this text, but I did contribute a photo. I do not have a copy yet, but I look forward to reading A Shadow of War: Archaeological Approaches to Uncovering the Darker Sides of Conflict from the 20th Century by Claudia Theune. While I have not been posting here lately, I have been working on other projects while working CRM archaeology in New Brunswick. My heart certainly belongs to Newfoundland and Labrador heritage, and I will continue to work to tell the stories of Newfoundland and Labrador aviation. Some of the wreckage at Garden Hill. Photo by Shannon K. Green 2013. It has been a while since I have posted. Since my last post, I have moved provinces and am now in New Brunswick. I haven’t had any time to delve into the aviation history in this area, but I will! In the meantime, I’m waiting for an article to come out with the Alberta Aviation Museum‘s publication InFormation, and am working on another couple of articles for publication. Plus, I’m trying to get settled, build my Ikea furniture, and try to find my way around town! 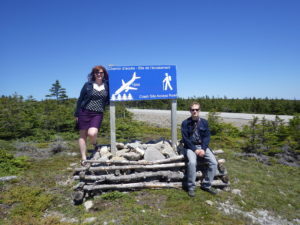 Myself and Shannon K. Green at the sign that caught out eye and directed us to the crash site. Photo by Ken Thibeau 2013. I came across this site when driving around the peninsula with family members. We actually drove past the sign that pointed to a plane crash, so of course we had to stop and check it out. 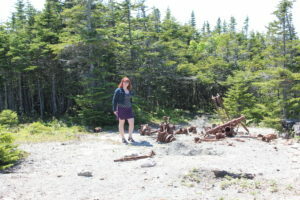 I wasn’t expecting to go out to a plane crash, so it was my first (well, maybe second) time going to a crash site in heels and a skirt. The trail to the site. It’s an easy walk, just off the highway. Photo by Shannon K. Green 2013. United States Army Air Force C-54A 42-107427 left LaGuardia airfield in New York on 12 November 1944 for Harmon Field, Stephenville, Newfoundland with a crew of 18. The aircraft was expected to arrive at Harmon Field at 0558 GMT. 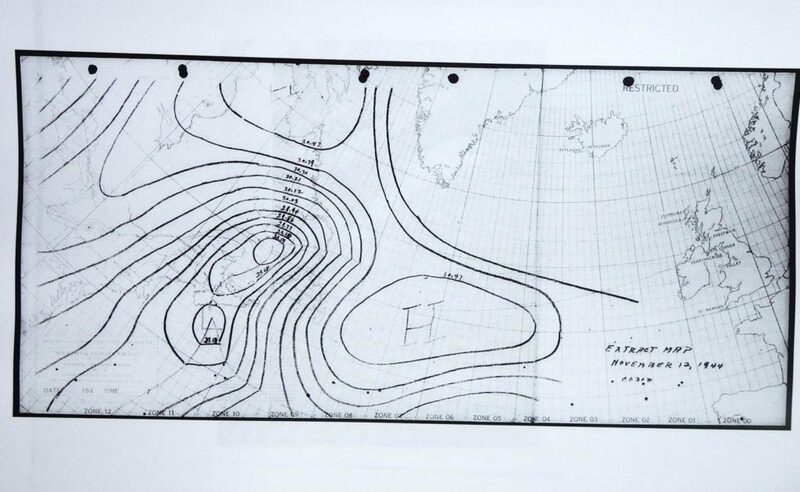 The weather was forecasted to be excellent for the majority of the trip, but a complex weather structure would have made the last part “sloppy” with some light to moderate turbulence. The pilot checked the weather often before and throughout the flight, but the aircraft was still blown off-course by high velocity winds. Snow was also reported at the time of the crash. The pilot also failed to make proper use of normally functioning radio navigational aids to check the position of the aircraft prior to and during descent. The aircraft collided with the side of a hill at what is locally known as Garden Hill on the Port-au-Port peninsula. The high energy crash resulted in nine of the eighteen crew perishing on site, and three expiring in the hospital within a few days. The “sloppy” weather over the Atlantic. From Barnes et al. 1944. Private First Class Joseph Kara told investigators that there was no warning prior to the crash. In fact, the flight was “going good” until about an hour before reaching Harmon Field. That’s when the aircraft started to descent and did not ascend again. Kara said he was asleep, but woke up just prior to the crash when others on the aircraft seemed to think they were about to land; it was dark and passengers could not see anything from the windows. Kara then reports that the aircraft “got real low and I could hear the trees cracking”. In the next moment, he was outside and the aircraft was on fire. (Barnes et al. 1944). 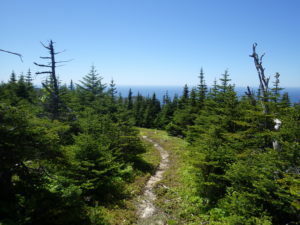 At light, the survivors gathered together and Kara walked away from the crash and into the woods, where he met a Newfoundlander who brought him to the nearest building, a post office (Barnes et al. 1944; Leonard Simon, former base barber, pers. comm). About an hour after daylight the rescue plane found the site and shortly thereafter ambulances and trucks arrived at the post office (Barnes et al. 1944). 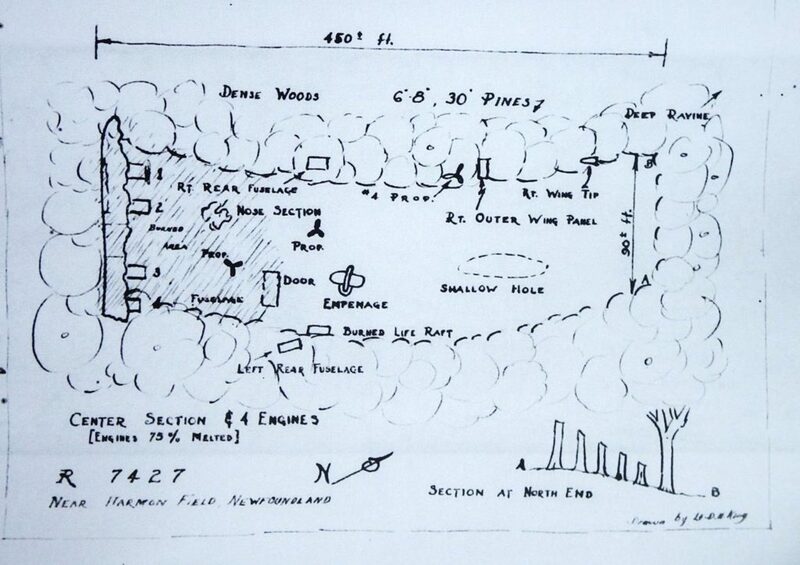 A drawing of the site from the incident report. From Barnes et al. 1944. Private First Class Joseph Wosnisk told investigators that there was some confusion about the time prior to the crash. The flight clerk told passengers to strap their belts, but then changed his mind, saying they were still an hour from Harmon Field. Wosnisk reported that the plane dropped, like it hit an air pocket, and then began hitting trees. There was no indication of the aircraft turning as would be expected. Wosnisk was thrown from the aircraft during the crash. He then gathered with other survivors, made a fire, released flares to indicate their location to a passing aircraft, and took care of the injured as best he could (Barnes et al. 1944). A view of the crash site. From Barnes et al. 1944. Private First Class Charles C. Chonka reported that after the accident, injured crew were moved as little as possible, and many left where they fell. Chonka reported that two men died before doctors could arrive. When they did finally arrive, the doctors treated those seriously injured, but still alive. Chonka did not remember seeing any crew during the flight, and after the accident said he talked to one of the crew, but could not identify who (Barnes et al. 1944). The cause of the accident was classed at pilot error (carelessness). The report indicates that “the pilot, through attention and lack of mental alertness, failed to make proper use of normally functioning radio navigational aids to check his position before and during descent”. A secondary cause of the accident was due to the weather, that the aircraft was blown off-course due to high velocity winds (Barnes et al. 1944). Images from the crash site. From Barnes et al. 1944. After the crash, the site was relatively inaccessible for many years, but aircraft pieces were still removed. 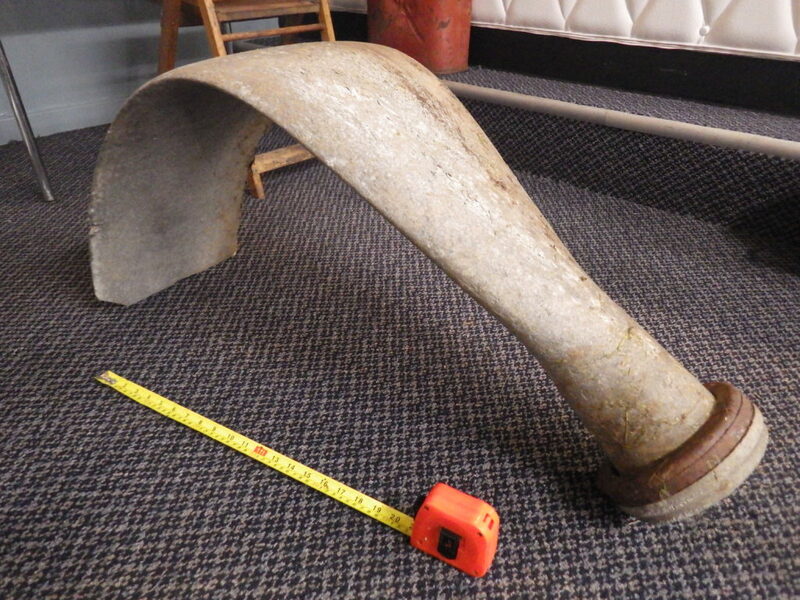 In the Stephenville Regional Museum of History and Art is a propeller blade which had been removed from the site. The tip of the propeller has been removed, and used in the making of spinning wheels. When the museum was established, the remainder of the propeller was donate to be part of their exhibit. The propeller blade housed at the Stephenville Museum of History and Art. Note the broken tip. Photo by Lisa M. Daly 2014. Since 1990, a road has been put through between Cape Saint George and Mainland, passing close to the site. A sign indicates the location of the crash and gives a bit of history, and a trail leads directly to the site. In 1990, when the road plans were put forward, Frank Gale of the Western Star wrote an article worrying about the risks to the site with a road passing close by. The accompanying photo shows a great deal of aircraft at the site, including engines. Since the road was built, the site has been almost completely demolished, with only a couple of fragments remaining. There is very little left at the site that is of salvage value, but what remains may be removed for personal collections. Even if the remaining aircraft if not removed, the site is constantly changing. 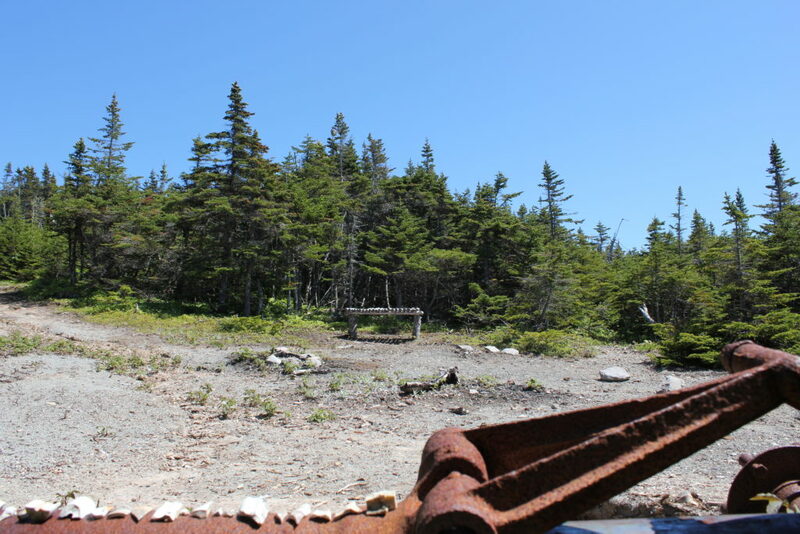 These researchers visited the site in the early summer of 2013, and that fall, received pictures of the site from Gary Rideout, retired RCAF, showing site disturbance and aircraft fragments having been moved around the site. From 1994 The Western Star article by Frank Gale. The area contains benches and the remains of campfires, so as long as people are actively visiting the site, it will continue to be disturbed, but provenience has already been lost. Further analysis of the site will not add any information to compliment the crash report, and it is unlikely that other objects of significance will be donated to the museum. View of the fire pits from the wreckage. Photo by Shannon K. Green 2013. 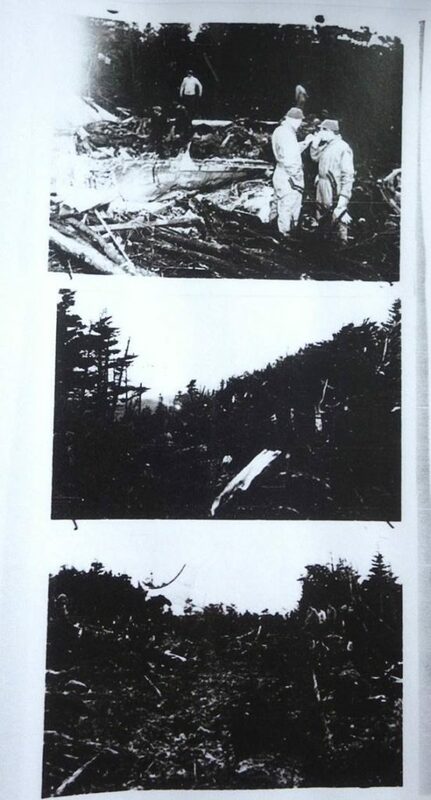 1944 U.S. Army Air Forces Report of Aircraft Accident: Vicinity Cape St. George, Newfoundland. 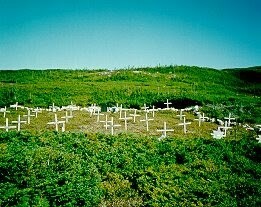 War Department: Harmon Field, Newfoundland. Garden Hill: The Crash of a USAAF C-54. Provincial Archaeology Office 2013 Archaeology Review, 12: 22-24, 2014. 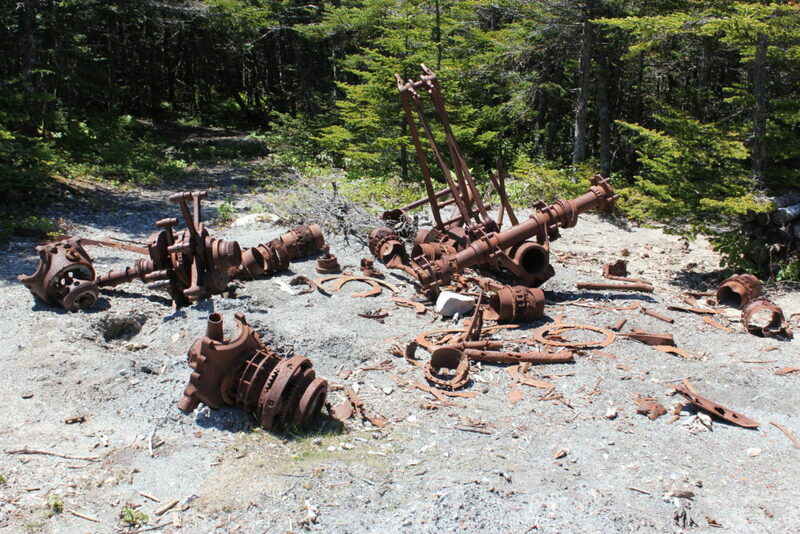 1994 Association Wants 1944 Crash Site Preserved. The Western Star, 21 September 1994, p. 3. PlaneCrashGirl at the Garden Hill crash site in heels and a skirt. Photo by Shannon K. Green 2013.